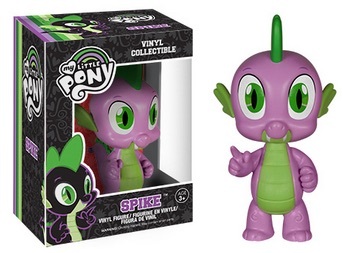 Offering larger options for MLP fans, 2015 Funko My Little Pony Vinyl Collectible figures are colorful and plentiful. The popular franchise continues to captivate audiences with a combination of friendship-themed plots and an assortment of ponies. The new pony figures are led by the husband and wife team of Princess Cadance and Prince Shining Armor. Spike the Dragon also joins in on the fun. All three figures can be found before the official release as a Hot Topic exclusive. My Little Pony Vinyl Collectible heights vary by the subject. 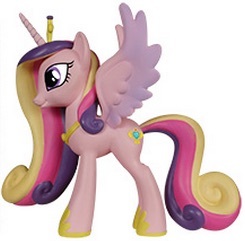 Princess Cadance and Shining Armor are both approximately 5" tall, while Spike is closer to 4".